Open and playback many video formats, including: 3GP, ASF, AVI, DIVX, F4V, FLV, M4V, MKV, MOV, MP4, MPG, RM, RMVB, VOB, WMV. Support Start, Pause, Fast Forward and Backward, Screen Orientation Change and Volume Adjustment in playback. Add and manage videos in your Favorite list. Import video files from Email or other Apps through "Open In". Support to open many document types, including: DOC, XLS, PDF, PPT, TXT, etc. Compress files and videos into a ZIP file. Download files from iCloud Drive. Upload to/Download from Dropbox, Box, GoogleDrive. 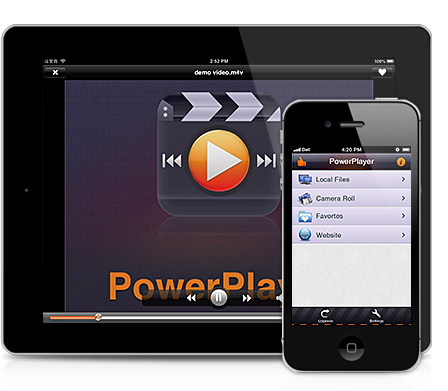 With its simple interfaces, Power Video Player provides the easiest way to playback videos on iPhone and iPad.